New York Tonight airs on Metromedia Radio every Saturday at 9:00 PM EST . Each episode of New York Tonight takes the audience on a tour of the sounds and styles of some of the world’s greatest Jazz performers who graced the club stages of New York City. Rich plays time-tested, proven tunes and artists that will be appreciated by the die hard Jazz fan as well as new comers. New York Tonight is the ultimate in weekend destination listening! It’s certain to keep adults entertained and asking for more! Each week, New York Tonight presents the timeless greats from Basie to Ellington, Ella to Anita, Sinatra to Bennett, and from Brubeck to Tatum and everything in between! Rich showcases the artists that are immortal. The host Rich Keith is a radio guy who grew up in the New York Metropolitan Area in the 1960s and 1970s. According to Rich, “A few misguided college professors think that they taught me how to be a broadcaster, while, in reality, the best broadcast schools in the world were available all up and down the New York Radio dial”. 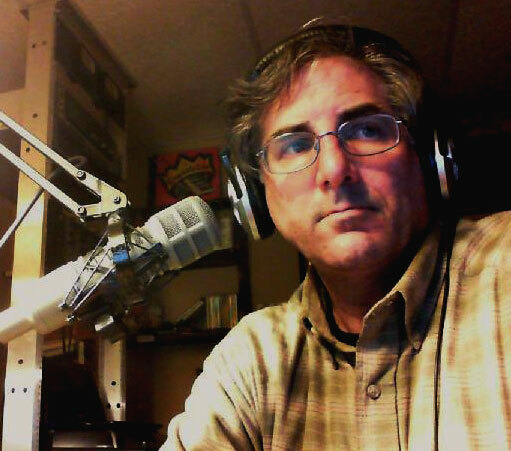 Rich’s reflections of his radio education: “The Harvard and Yale of on air radio schools was WNEW 1130. The faculty included William B Williams, Ted Brown, Jim Lowe and Al Jazzbeaux Collins. I took my daytime lessons in the “Make Believe Ballroom” and went to night school in the Purple Grotto”. Rich’s thoughts on Metromedia Radio, “It’s a kick to be part of the Metromedia Radio team. Music all day from the Great American Songbook presented in the Spirit of Metromedia WNEW…and the “New York Tonight Show” Saturdays from 9pm to Midnight ET. Rich Keith is the owner – operator of Pure Jazz Radio (www.purejazzradio.com) and part time announcer at Jazz 88 WBGO, the premier Jazz Radio station in the U.S..